Annaprasana Sanskar Muhurat 2014 is here to feed the first food bite to your baby on the holiest day of the year. 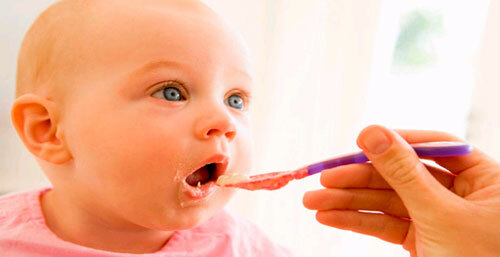 Food is the fuel for our livelihood, your newborn should taste it on Baby Food Feeding Ceremony Day. Celebrate your baby first food bite by planning the event according to Annaprashana Ceremony Muhurat 2014. Annaprasana Sanskar Ceremony Muhurat 2014 table is here to assist you landing to the most auspicious date for performing Annaprasana Sanskar Ceremony in 2014 for your baby. Annaprasana Sanskar is a ceremony when the first bite of Anna (solid food) is fed to the child. Indians have a faith of observing a certain task on a particular day and time, that is sacred and promising. It is considered that before getting started with anything new, it's good to get confirmed about the perfect time and date for performing the task. This is because it brings more success and good fortune. Annaprasana Sanskar Ceremony Muhurat 2014 is a perfect guide that consists of all the information related to the auspicious Muhurat for Baby Feeding Ceremony Muhurat in 2014. This ceremony is also recognized as 'Annaprashan'. Annaprasana Sanskar Ceremony Muhurat 2014 can actually assist you in knowing the best and the most auspicious date for Baby Feeding Ceremony Muhurat in 2014. Annaprashan Ceremony is performed when the baby is ready to switch to solid diet from liquid diet. This auspicious ceremony can be performed when the baby turns 7 months old. The duration within which this Baby Feeding Ceremony can be performed is till the time baby grows 12 months old. Annaprashan is generally observed during the even months for the baby boys (in the sixth or eighth month). And, it is performed during odd months for baby girls (in the fifth or seventh month). Where To Perform Annaprasana Sanskara? Generally, Annaprashan Ceremony is performed at a temple or at home. To celebrate Annaprashan day at home, you should take the assistance of a priest so that the Baby Feeding Ceremony could be performed in a proper way. This Hindu ritual is considered to the most auspicious for the newborn as on this special day, the baby is feed with various food items. This ceremony is performed to teach the little one about the right eating habits. Annaprashan ceremony is performed when the baby turns seven months old or else when he/she turns one year old. This Hindu ritual is considered to be extremely fortunate if performed on the right Muhurat. Therefore, you should definitely refer Baby Feeding Ceremony Muhurat 2014 table to make this ceremony a fortunate one.